Another buttermilk recipe, yay! I decided to make this one, first, because I still have A TON of buttermilk left, and this one uses one and a half whole cups…super exciting. I also love making sandwiches for lunches during the week, and homemade bread puts them over the top. 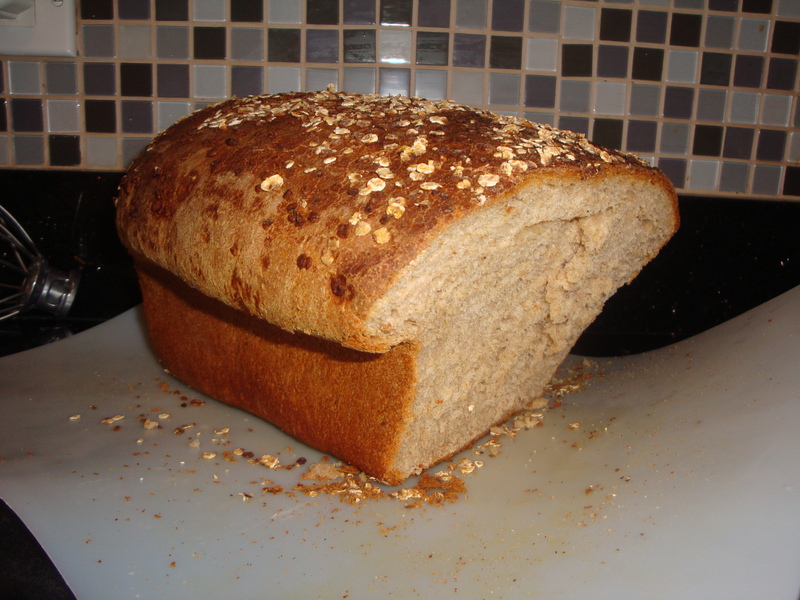 I love that this recipe uses whole wheat flour, honey, and oats; it also doesn’t require a bread maker. The end result if absolutely delicious, moist and dense. Be sure to store the bread in an airtight container of some kind, otherwise it will mold easily. 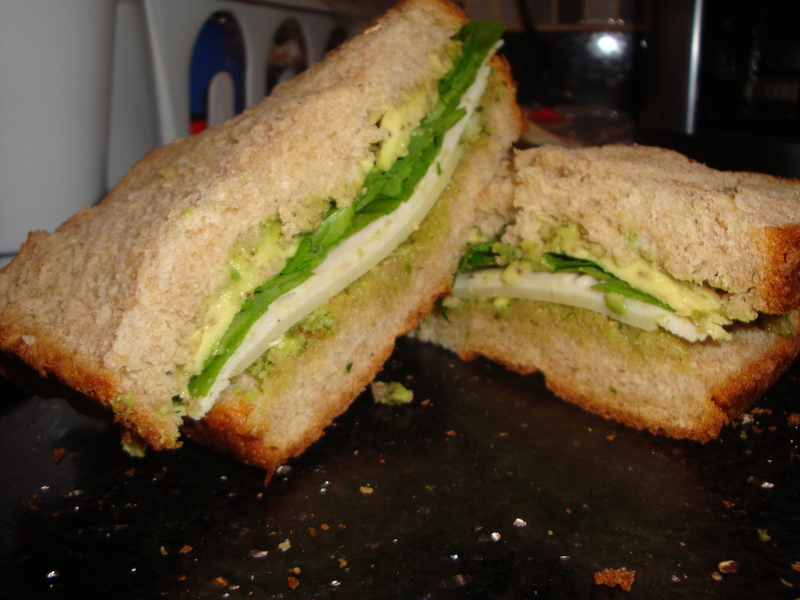 This bread can be used for all kinds of sandwiches and paninis; here is one of my delicious concoctions: a Pesto, Avocado and Spinach Turkey Sandwich, which blended perfectly with the flavors of the honey and oatmeal. I used swiss cheese on this sandwich so I elected not to grill it as a panini. I also highly recommend trying this bread out topped with some roast beef, provolone, brown mustard, arugala and balsamic vinegar for a spicy treat. Enjoy! Increase the speed to medium, and knead for about 10 minutes. Add more flour or water as necessary, but I don’t think I added any extra of either. Turn the dough out onto a lightly floured surface, flatten it with your hands, and press into a 12×6 inch rectangle, positioned so the long side is facing you. Fold the 2 short halves to meet in the center. Starting with the end closest to you, roll the dough into a tight log, and allow it to sit on its seam for about 5 minutes. 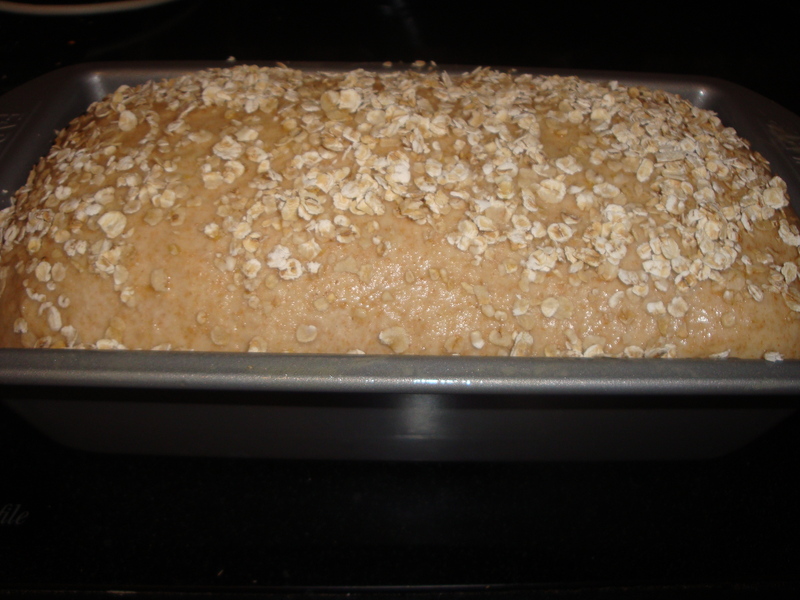 Posted on September 27, 2013 by Jilly G	• This entry was posted in Recipes and tagged baking, bread, buttermilk, honey, oatmeal, sandwich. Bookmark the permalink.